"I remain fully committed to finding a way to end the current transit strike as quickly as possible. No one should regard a prolonged transit strike as a feasible option. One does not have a viable city without public transit. My original position remains unchanged. I believe that transit, like the services provided by 12,000 other city employees, should be subjected to at least mandatory interest arbitration if negotiations fail. To those of you wishing to take action, it would be best to contact all members of City Council to express you views." 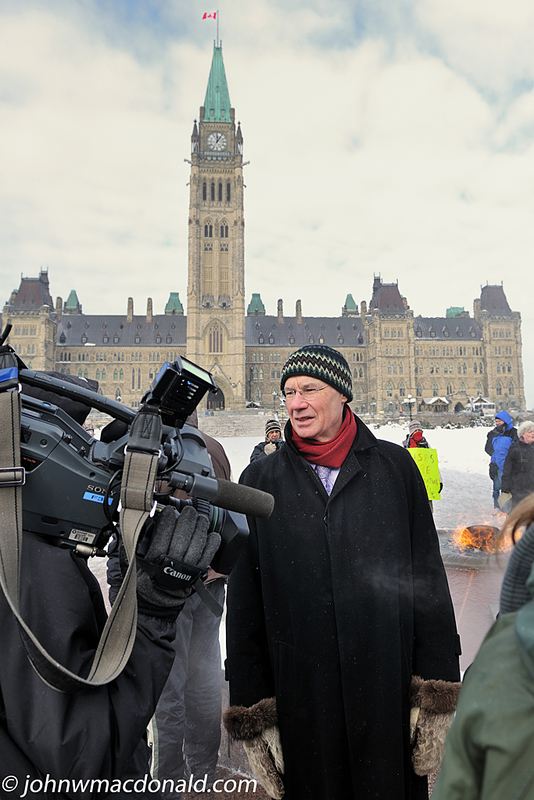 Mr. Doucet braved the -20 degree windchill to join the 50 or so protesters on Parliament Hill to end the OCTranspo transit strike, now into its 48th day.